The remix for “Despacito”, featuring Daddy Yankee and Justin Beiber, has made history while topping the Billboard Hot 100 List for five straight weeks – the first Spanish language song to reach that position in two decades. 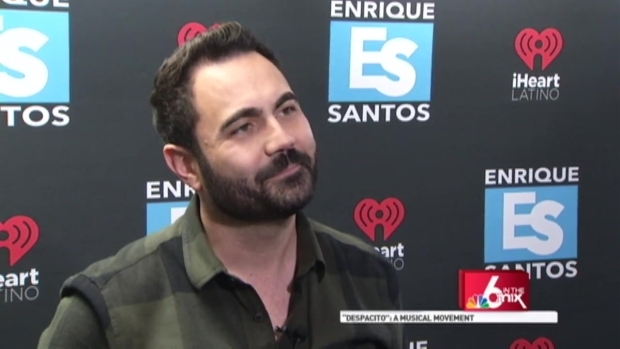 He is the man behind maybe the most popular song in recent years – now, Luis Fonsi is bringing “Despacito” and the rest of his hits to South Florida later this year. The “Love + Dance World Tour” will hit the Hard Rock Live in Hollywood on Friday, September 22nd at 8 p.m. Tickets go on sale this Thursday at 10 a.m. and range in price from $30 to 105. The remix for “Despacito”, featuring Daddy Yankee and Justin Beiber, has made history while topping the Billboard Hot 100 List for five straight weeks – the first Spanish language song to reach that position in two decades. The video for the original version has been seen over 1.9 billion times on YouTube. Luis Fonsi's hit 'Despacito' has taken over the charts and as Roxanne Vargas shows, it may be around all summer long.